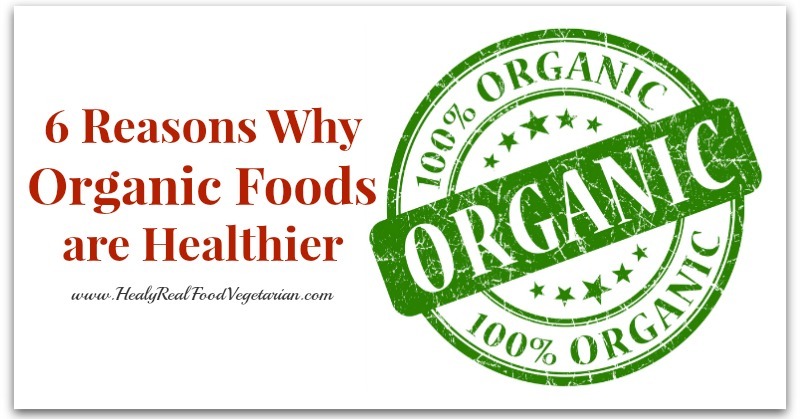 Most people realize that organic foods are healthier than those heavily sprayed with toxic chemical pesticides, but what most people don’t know is that there are MANY other reasons to choose organic foods apart from just pesticide residue. 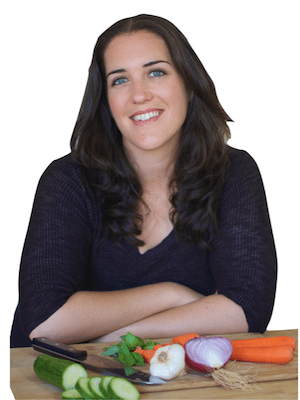 In this article I will go over 6 different reasons why organic foods are healthier for people, animals and the planet. It’s scary to think that when farm workers spray pesticides on produce they are required to wear a hazmat suit for safety, yet it is considered perfectly safe for people to put those pesticides in their body. Even though it is a very small concentration of pesticides, low level exposure to pesticides over time is still harmful and can stay in the body. In fact, most of the health risks listed above are a result of extended low-level exposure. Children are at an even greater risk to complications with pesticide residue. Furthermore, washing fruits and vegetables is simply not enough since pesticides soak into the produce–especially thin-skinned items like potatoes, apples and lettuce, making it impossible to remove all pesticides. To find out which fruits and vegetables are especially susceptible to soaking in pesticides check out the dirty dozen and clean fifteen. Another great reason to choose organic is to avoid GMOs. GMOs stands for Genetically Modified Organisms. They are plants that have been genetically engineered with DNA from viruses, bacteria or other organisms. For plants specifically, most GMOs have been engineered to kill pests by exploding the stomach. One study showed that a toxin only present in Monsanto genetically modified Bt corn was present in pregnant women who consumed the corn as well as the umbilical blood of their unborn fetuses (1.Source). Another study found that rats fed GMO corn over 2 years developed tumors, had disabled pituitaries and developed kidney deficiencies. This same study found that the rats fed GMO corn died 2-3 times more than the control group (2.Source). 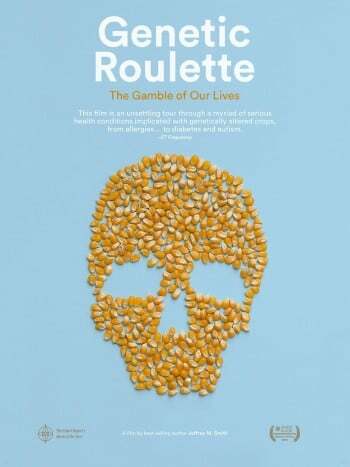 If you want to learn more about GMOs I highly recommend the documentary Genetic Roulette. Luckily, organic foods are not allowed to be labelled as such if they contain GMOs. So, in order to avoid GMOs make sure that you get organic when buying any of the above foods or any packaged foods with corn, soy, sugar, cottonseed or canola in the ingredients. One of the challenges to eating out is avoiding GMO oils like canola oil, corn oil, soybean oil and cottonseed oil. 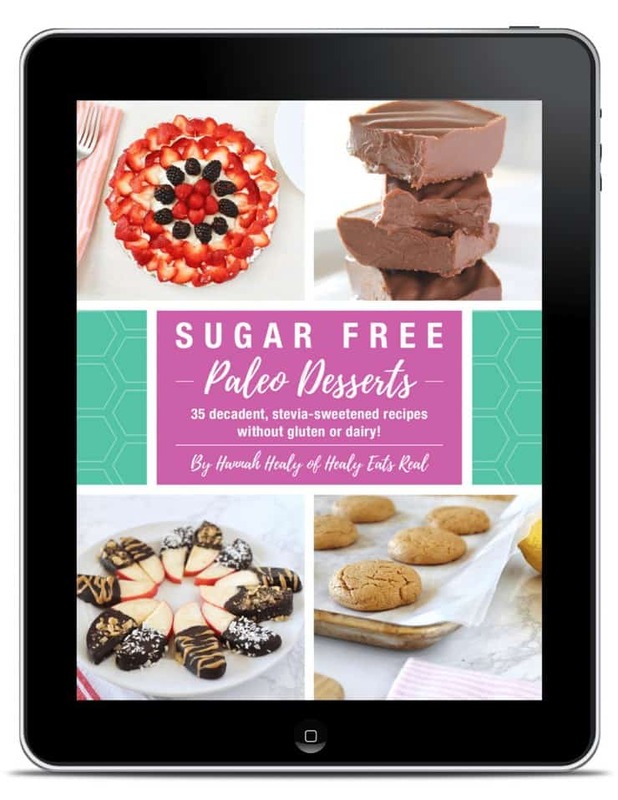 To learn more about healthy oils see my article 6 Healthiest Cooking Oils. I’m sure most of you have heard about the decline of the bee population, but many people don’t know what that means for the future of our food. 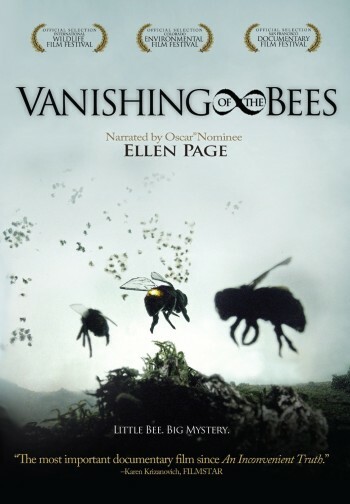 Then, when I saw the documentary Vanishing of the Bees, I realized how integral bees are to the production of MOST of the fruits, vegetables and even nuts that we eat. 30% of the world’s crops are dependent on bees. In fact, bees are such a huge part of commercial produce production that there are people that transport huge truckloads of bees all over the country so that they can pollinate the plants that grow our food. But, because of this large-scale factory farming style of transporting bees paired with the increase of GMO foods and pesticide use, the bee population is dying out at an alarming rate. One of the reasons that Poland outlawed GMO corn was because they saw the direct connection between bee death and the GMO plants and pesticides that they were deriving pollen from. Bees are insects after all, so if they are picking up pollen from plants heavily sprayed with insecticide, wouldn’t they suffer too? Another great reason to switch to organic is that foods carrying the organic label are not allowed to use hormones or antibiotics. This is especially important with animal foods like meat, dairy and eggs. Most animals from non-organic CAFOs (concentrating animal feeding operation–also known as factory farms) are heavily medicated with antibiotics and hormones. Because the living conditions are so abhorrent, the animals would not survive the filthy conditions without consistent antibiotics. Most animals are packed in so closely that they can barely move at all, they must defecate where they stand because there’s no where else to go and because of this they are living in their own and the surrounding animals’ filth. Animals are also usually fed GMO corn and soy because it is the cheapest option, however farms animals have not evolved to eat this kind of food, so it makes them sick, requiring more antibiotics. Because most non-organic animal foods contain antibiotics, this means that you are also consuming small concentrations of antibiotics when you consume these animal foods. This excessive use of antibiotics creates antibiotic resistant super-bugs or in other words, diseases that are immune to medicine. Synthetic hormones like steroids are used in CAFOs to speed up livestock growth and production. Consuming added hormones in meat and dairy can impact your hormonal health and can even contribute to cancer. A 22 year farming trial found that organic farming produces the same yield as conventional farming, yet uses 30% less energy, less water and no pesticides. Because of all of the synthetic fertilizers, chemical pesticides and pollution resulting from conventional farming, soil health in the United States is rapidly declining. This is one of the reasons why most people are deficient in magnesium. Organic sustainable farming practices help replenish soil nutrients over time resulting in nutritionally superior food. Interesting. Isn’t anything that is a hybrid a GMO? This article is full of misinformation. Please take the time to visit non-organic farms and educate yourself on farming practices. The theories of “factory farms” that are carelessly tossed around the internet are inaccurate misconceptions. 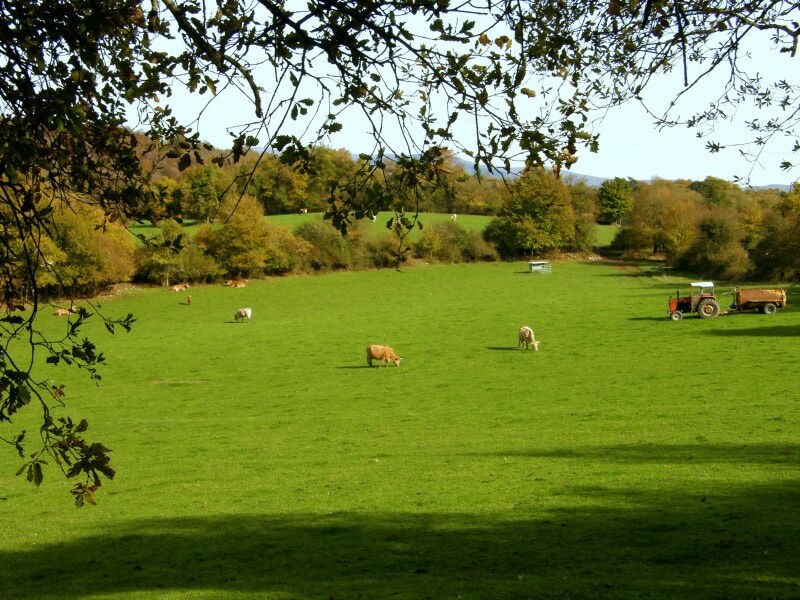 Generally, overuse of antibiotics, “abhorrent living conditions”, and soil pollution are the exception, not the rule, of farming. Also, although organic farms may produce the same yield per acre as non-organic, it is not feasible to farm as many acres with organic practices as it is with conventional practices. I’m not sure that’s is what this article is getting at. I support our local farms even if they aren’t Organic. I’m personally all Organic, helps with my personal health. But I think this is on a way bigger scale. The awareness needs to be put out there. I’ve done plenty of my own research, this all falls within reality. Not speaking for ALL farms but Farms that are controlled by corporations that feed most of our population. I mean even not knowing anything, people have noticed more cancers, coming at much younger ages, fertility problems, New allergies, hormone increase in young children, New diseases, this has been on the rise in the past decade. GMO have been around a little over a decade.. how can you think it has nothing to do with these things. Just giving perspective. One day the people will know and it’ll be too late. In my younger yrs I worked on an non organic farm, raising beef cattle, and they never saw sunlight except when the barn door was opened to mount them on trucks going to market, and in order to prevent them from getting shipping fever they were given a drug, by injection, and I read the label and it said, ” Not to be administered 90 days before human consumption” and this is going back to the late 70’s. This article is actually spot on! Ppl are are getting sicker and sicker these days and cancer is really rampant as well! Monsanto wouldn’t have to poison us if we could control the population! Currently studying ‘Wellness’ at R.M.I.T. Organic food tastes better, and just like smoking and alcohol warnings, pesticides used in growing food may need to be listed as a warning to the consumer, in our near future.